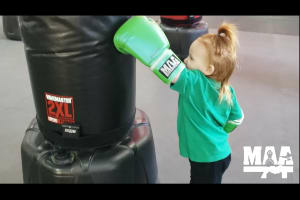 Check out the most adorable Leprechuan Kickboxer ever! 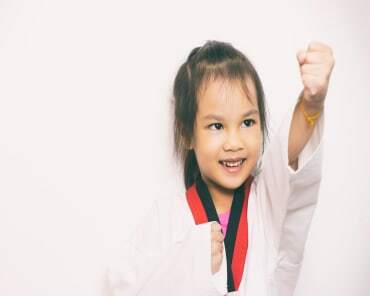 Eloise is the daughter of MAA Instructor Team Member Sensei Purpus! CLICK HERE to check out the video here! Fantastic place, great workout, nice staff. My mother and I have been taking kickboxing classes here for a few years and I highly recommend it. It's a blast! Beyond proud of my Little Dragon who was awarded his yellow belt today! Thank you to the staff of Martial Arts America for helping him grow, building confidence and independence along the way! The look on Matthew's face when he got that belt was priceless! He knew he had accomplished something great! Simply, AWESOME, great instructors who really care about you and encourage you to do your best no matter what fitness level you're at. I joined kickboxing 3 years ago and said goodbye to the jelly belly and hello to a six pack of abs. A year later I started the Martial Arts program that not only created self-discipline but gave me the confidence to protect my family and myself. 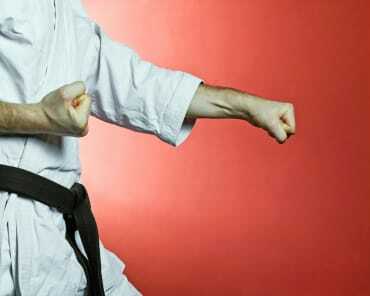 MAA is constantly enhancing their facility, fitness, and martial arts programs so you will never get stuck in a rut. I will recommend MAA to everyone.